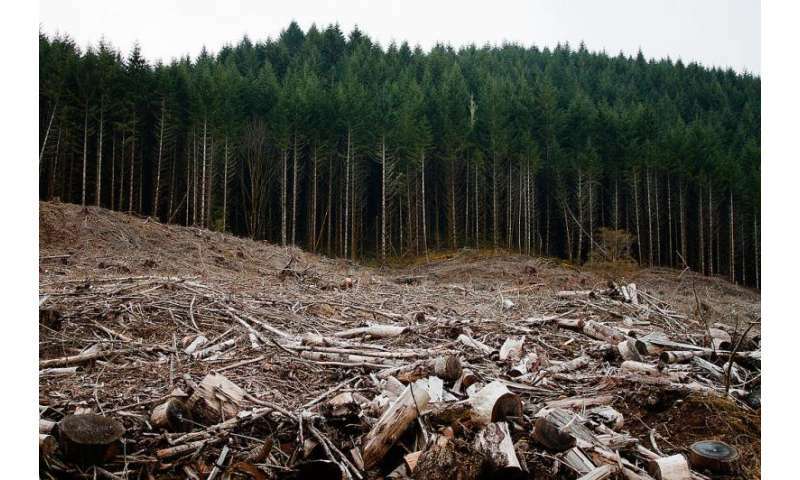 A photograph of a clear-cut forest area near Eugene, Oregon. Credit: Photo by Calibas/ Wikipedia. The findings suggest that thermal biology—an emerging discipline that examines the effects of temperature on biological and ecological processes—could be an effective tool for understanding how temperature changes in fragmented habitats can potentially wreak havoc on species activity and other critical ecosystem functions. Previous research has shown that widespread deforestation is a threat to global biodiversity, but scientists are only just now beginning to examine the role that temperature may play when trees are removed from an ecosystem—especially near the newly-cut edges of forests.